Having a good night's rest is so important and puts you in the best possible position for the next day. 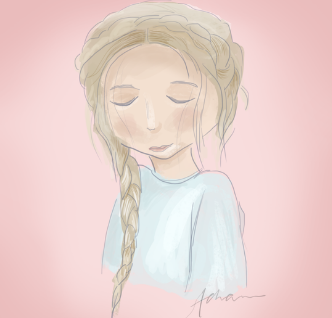 Lately, my sleeping schedule has been a bit off and I feel like I haven't had a decent night's sleep in ages. I'm either taking forever to drift off or am waking up abnormally early. Either way, I'm getting very little sleep. If you can relate and feel unsatisfied with the amount of hours you've been sleeping recently, hopefully these tips will be useful in some way. Try fitting some gentle stretching into your night time routine. This will hopefully loosen any tenseness in the body and help you get into a relaxed state of mind. Avoid vigorous exercise as this tends to boost your energy levels, making it harder for you to fall asleep. Light exercise is better in terms of preparing your mind and body for bed and will definitely help to relieve some of that daytime stress for a restful sleep. 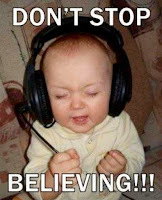 Plugging in your earphones and listening to some relaxing music is a really good way to make yourself feel more sleepy. You could either use it to wind down before bed or have it as background noise while you fall asleep. 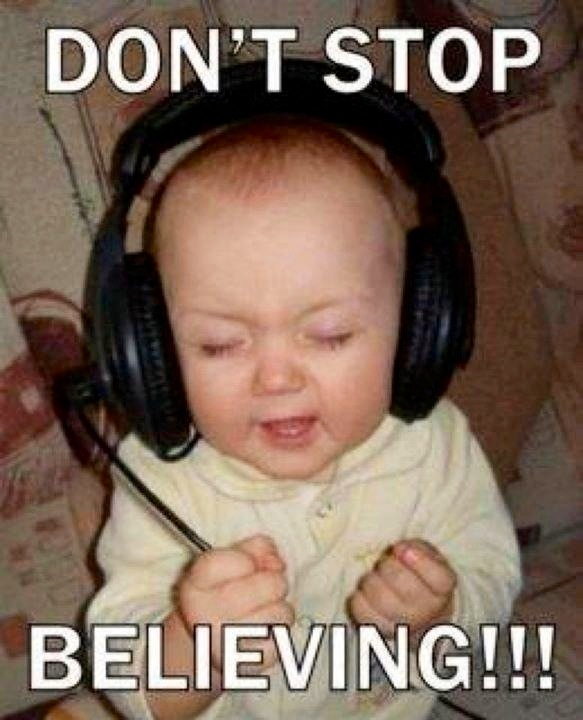 If you're someone who tends to overthink at night, the music may be a nice way to distract yourself from your thoughts. Rather than turning on the main light in your bedroom, use a bedside lamp or other smaller light source instead. If it provides a softer glow, it will be less likely to trick your mind into thinking it's daytime. For example, if you like to read before bed, use a book light instead of the ceiling light. Reading before bed is a really good habit to get in to however using the main light tends to make this calming activity a lot less effective. By limiting your exposure to light, you're sure to fall asleep a lot quicker/easier. Disconnect from your devices at least an hour before you go to bed. If you know you'll be tempted by the notification bells and social media alerts, try switching your phone to silent mode or turning it off completely. As I mentioned before, you want to have very little contact with light as you're preparing for bed. The glow from your laptop or mobile screen is no different from any other light source in your bedroom. Comfortability plays a huge part in how well you sleep at night. If you find you're moving around a lot in your sleep, this may be the result of a worn mattress or unsupportive pillows. Mattresses have been said to last around 9-10 years so make sure yours hasn't exceeded this as this may be the root cause of your sleeping problem. Also, get pillows that are neither too hard nor too soft. You want your head to be propped up slightly but not an angle that strains your neck. What's your favourite way to wind down at night? In the world today, handwritten letters are being replaced with emails, texts and messaging on social media. Everything is done with the click of a button or a tap on the screen. Messages are instant, quick to send and quick to receive. No envelopes or postage stamps necessary. While I'm definitely thankful for the online connection I have with overseas family and friends, I still think there's nothing quite as special as paper mail. And that's exactly what Melbourne-based Graceful Avenue believe too. Through their wide range of stationery, they hope to inspire their customers to feed a loved one's mailbox. 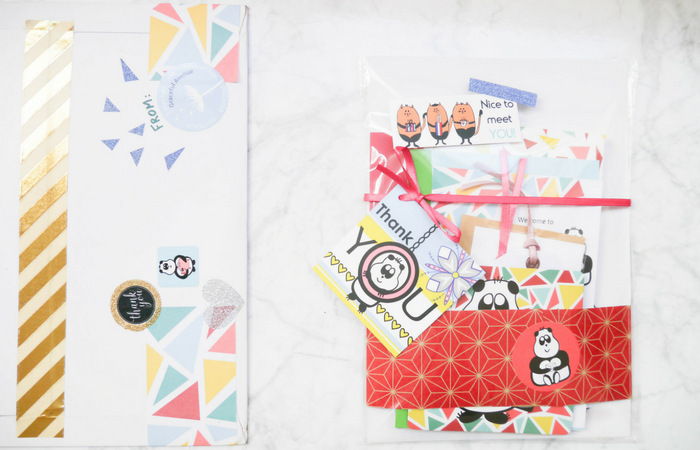 This month, I was lucky enough to receive their final stationery kit for their monthly subscription box, Mishka Mail and today I'll be sharing with you the lovely assortment of items I found inside. 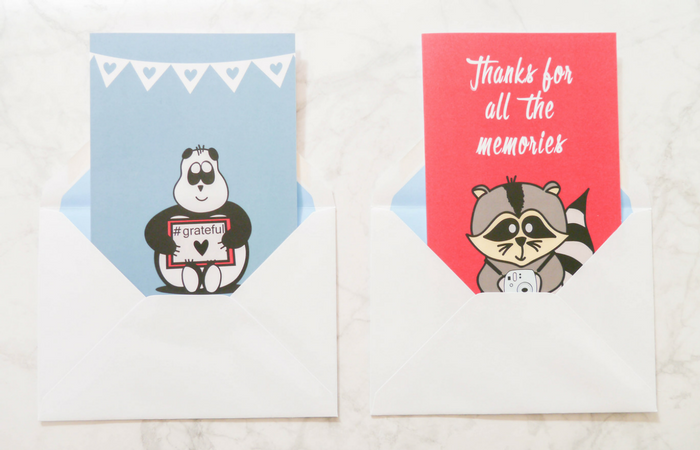 These card illustrations are simple and sweet and feature two of the Mishka Mail mascots. Both cards have a matte finish and come with a plain white envelope that can be customised to your liking. 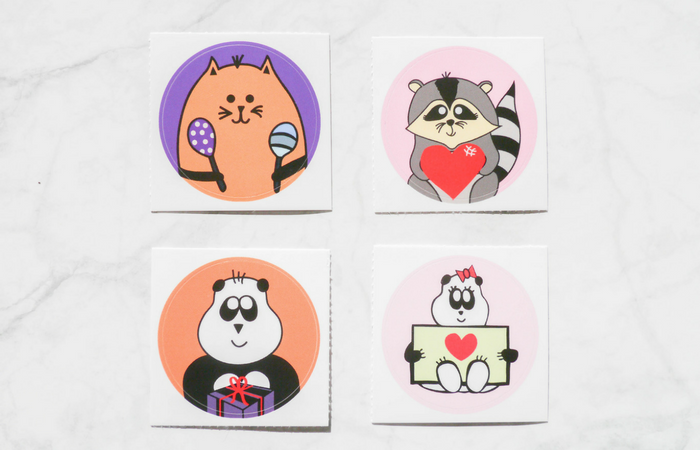 These stickers are unique, colourful and guaranteed to add more character/personality to your cards and envelopes. All four stickers have a glossy finish. 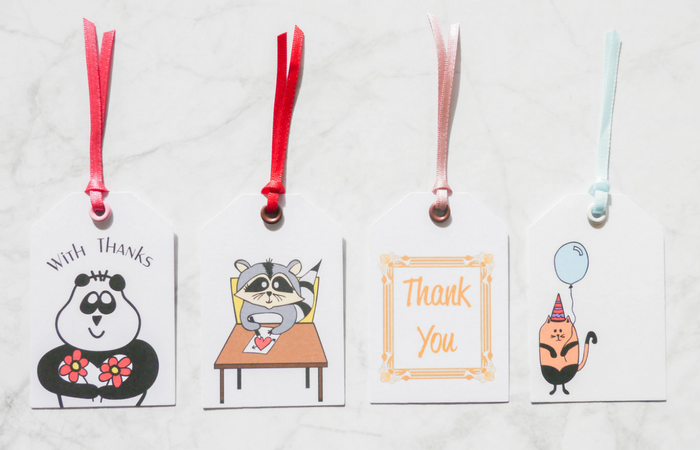 These gift tags have cute, heart-warming illustrations that are sure to bring a smile to your recipient's face. They're made from thick card and are therefore very sturdy and durable. 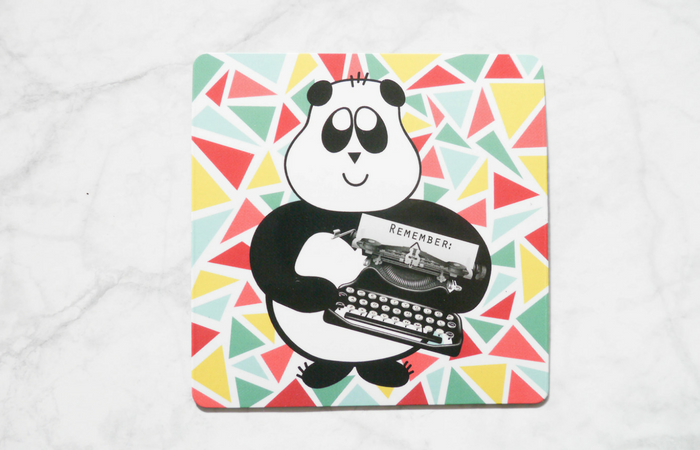 These postcards have such fun and creative designs that would be sure to brighten any person's day. The printed images are high quality with a glossy finish. 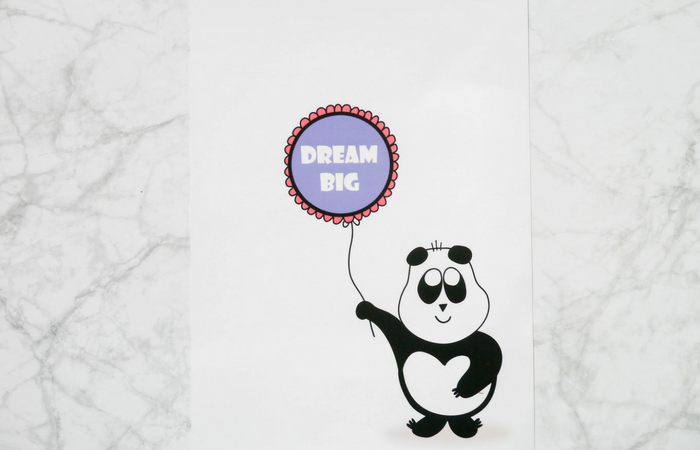 This print has a nice illustration with an equally nice message to go alongside it. Because of its simplicity, it's sure to suit any minimalistic room/space. The size of the card is A5. 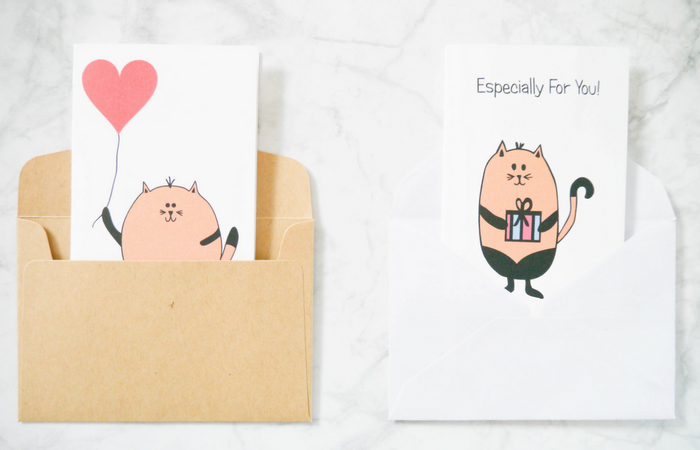 These pocket sized cards are adorable and would accompany any small gift perfectly. 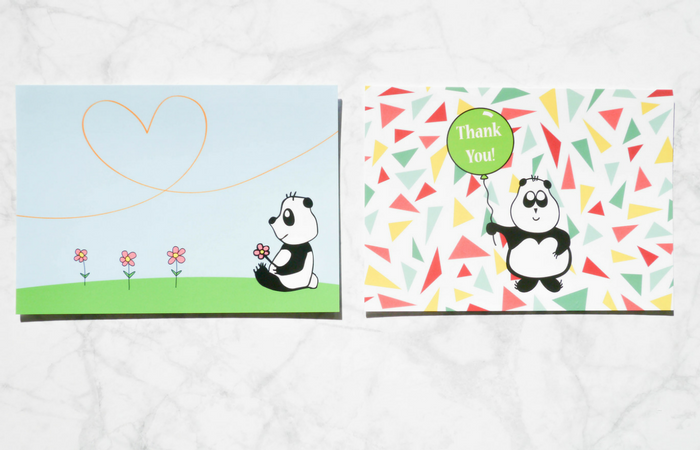 Like the two greeting cards, these mini cards have a matte finish and come with envelopes. This magnet can act as a header for all the little tasks and responsibilities you have to remember to do. It is both functional and eye catching, making it the ideal addition to any fridge/whiteboard. Overall, I am obsessed with the animal illustrations and the variety of colours that were used throughout. With this stationery, I feel really excited to send more mail overseas. And I guess that's the aim of these kits. If you like bright colours, cute characters and feel passionately about snail mail, then I'd highly recommend you give the Mishka Mail kits a go! 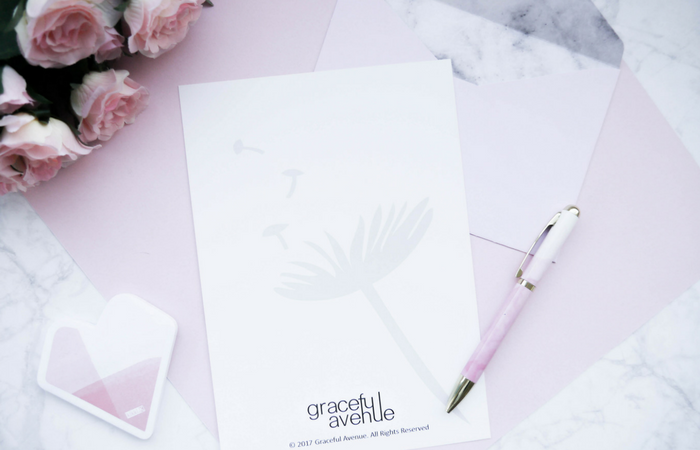 Even though Graceful Avenue has completed the Mishka Mail 12 month subscription box, they are still up for sale on their online site http://mishkamail.com.au. Just note that these can only be purchased by July 31st. Coming in August, Graceful Avenue will be releasing "Cute Parcels", similar to Mishka Mail but with a lower price point and less inclusions. Check out their site for more info on past kits, new kits, international shipping and more. Thanks so much for reading! What's your favourite item from the July set? In today's post, I'll be answering 11 questions from Kate at oh-kae.com. Thank you Kate! 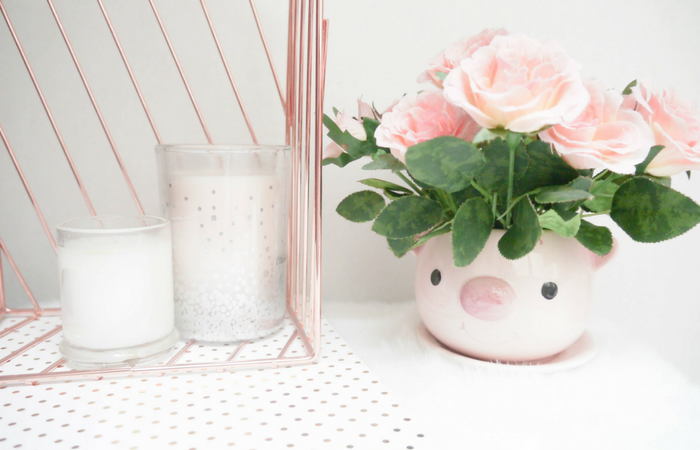 I'm so excited to be involved in this tag and love the fact that it's aimed at those who are fairly new to blogging. This goes to show just how welcoming and inclusive the blogging community really is. 1. If you could change one thing about your blog what would it be? 2. Where in the world would you love to travel to? Japan! It looks like such a vibrant and exciting place to experience. If I were to travel there, I'd definitely book the flight around Springtime so I could see all the cherry blossom! 3. If you could have any sort of animal as a pet, what would it be? I've wanted a kitten for ages! But I think guinea pigs would also be really cute! 4. If you could be involved inside a Disney world, what Disney film would it be? The movie Tangled on the island of Corona. I would love to witness the lantern scene first hand! 5. If you had to get rid of one beauty product forever, which would you choose? Probably dry shampoo. It doesn't seem to have any effect on my hair whatsoever. 6. What one song would you choose to listen to for the rest of your life? I recently watched La La Land and while I love the soundtrack as a whole, I especially like the epilogue track at the end. There are some really cheerful, upbeat moments and then some really slow and gentle parts also. 7. You can only choose one social networking to use forever, which would you pick? I'm obsessed with Pinterest and scrolling through images is one of my favourite pastimes. I'm a visual learner who is constantly craving inspiration and ideas so Pinterest is my ideal social media. I really want to be part of the creative industry later on and my dream job is to be a designer of some sort, whether that be interior, graphic or industrial. 9. What 2 celebrities are at the top of your 'Need to Meet' list? Selena Gomez and Dylan Minnette. 10. Describe your dream lifestyle? e.g kids? marriage? travelling? house? car? etc. I want to live in a two-storey, pastel coloured, suburban home with twin girls, a husband, a kitten and two guinea pigs. 11. What meme most relates to you? 3. What's the best present you've ever received? 4. What's your favourite holiday (Christmas, Easter, Valentines Day, etc...)? 5. Do you know any languages/ what languages do you wish you could speak? 7. What dessert could you eat for the rest of your life? 10. What's an achievement you're really proud of? In today's post, I'm doing something a little bit different. I'm going to see if I can guess what kind of blogger you are. All you have to do is grab a piece of paper and for each question write down the letter beside the statement you think fits you the most. Your most common letter should reveal what type of blogger you are. Let me know if I got it right or if I got it completely wrong! A: Painted in my favourite colour by yours truly. B: Covered from floor to ceiling in photos of my best friends and I. C: Used as a space to display my favourite newspaper articles and magazine clippings. D: Decorated with pretty prints and canvases. A: "To live a creative life, we must lose our fear of being wrong." B: "The best vitamin for making friends: B1." C: "Books are a uniquely portable magic." D: "When life gets blurry, adjust your focus." A: Using my hands to create things. B: Speaking in public or group situations. C: Reading several books at once. D: Keeping a daily journal. A: Either in my own art studio or exploring someone else's. B: In town, where I am constantly surrounded by people. C: At the local bookstore or library. D: Somewhere scenic with the most picturesque views. A: When someone tells me that my work needs improvement but can't give any valid advice. B: When the person I've been talking to for the past 5 mins hasn't listened to a word I've said. C: When the person who borrowed my book, still hasn't given it back a year and a half later. D: When someone I've just taken a photo for asks another person to take the exact same shot. A: Imaginative, crafty and fun. B: Friendly, bubbly and talkative. C: Inspiring, helpful and strong. D: Diligent, ambitious and thoughtful. A: Sketchbooks because my current ones are filled to the brim. B: Postcards to send to my pen pals overseas. C: Stationery because you can never have enough cute notebooks and pens. D: Stickers for the holiday scrapbook I'm putting together. A: I needed a another creative outlet. B: I wanted to meet other bloggers. C: I love writing so much. D: I wanted to share my photos with the world. 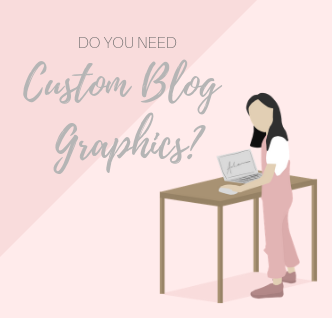 The aesthetic of your blog is very important to you. You're very considerate towards the design of your web page and are more than willing to spend hours on a header and sidebar graphics. People are very impressed by your originality and ability to think outside the box. You're a creative blogger who is skilful with both a pen on paper and a mouse on screen. You love connecting with your readers as well initiating conversation with your fellow bloggers on social media. 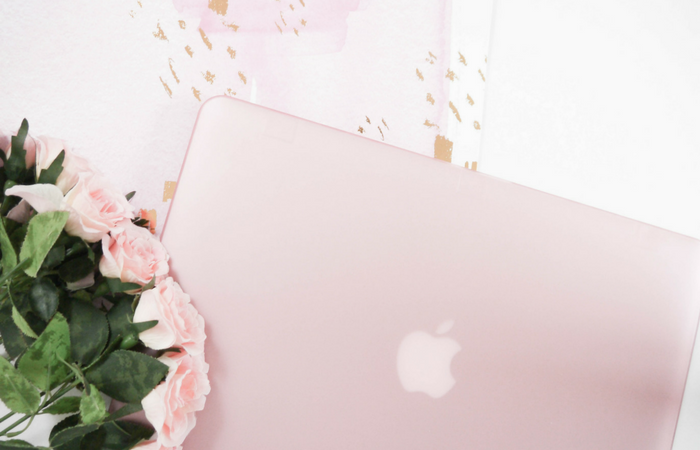 Being part of the blogging community is very special to you and you make sure to express this through your constant interaction with others. You're an outgoing blogger and an online friend to everyone you meet. You're a natural writer who is able to transfer their thoughts onto a page with ease. You know what you want to say and have no trouble communicating this through your writing. 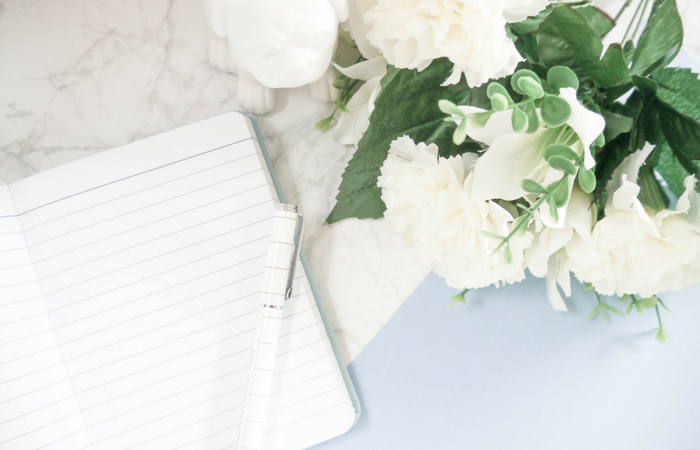 Most of the time, the content you produce is very close to your heart and because of this, you're able to get a message across to your readers. 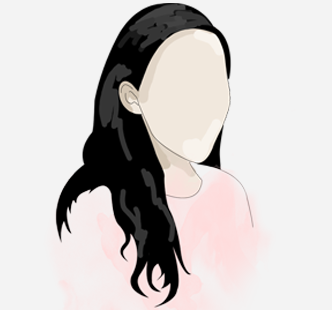 You're a passionate blogger and very talented with your words. Taking photos is your forte and behind the camera is where you feel right at home. Photography is the main reason you decided to start up your own web page and this is definitely evident in your blog. All your images are perfectly shot with the best lighting, angles and props. You're an artistic blogger and have your online portfolio to prove it.